Every year the Royal Horticultural Society runs National Gardening week. It's a celebration of all things gardening. This year it will be taking place from 13th until 19th April. And for the first time ever there is a National Open Gardens Day when many gardens that we can't normally normally get to peek inside will open for free. I'm watering my tomtato but it's the flower on my head that growing! I've had a look to see what is on all around Scotland and I have some super ideas to get you all excited about gardening. There are loads of ways that you can get involved and have fun. With events running all over Britain have a look here to see what is on near you. Lots of Scottish gardens will open for free on April 17th. If you fancy exploring one of the nicest gardens in Europe then head over to the Isle of Bute and wander in the huge gardens at Mount Stuart. You can explore areas such as the rock garden, the 5 acres called the "wee garden", the huge kitchen garden and the pinetum (just a funny name for a lots of different pine trees). There are lots of picnic areas to enjoy too. 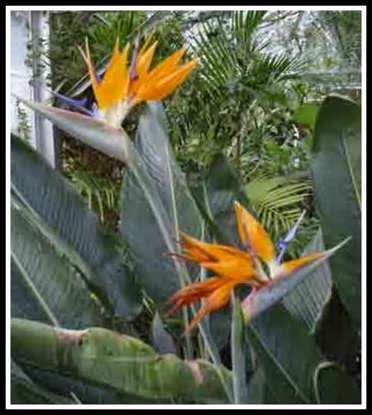 St Andrews Botanic Garden has more than 8000 types of plants to explore from all over the world. That's so many plants I will need to use Mummy and Daddy's fingers and toes to count! There are lots of unusual ones plus a pretty waterfall. 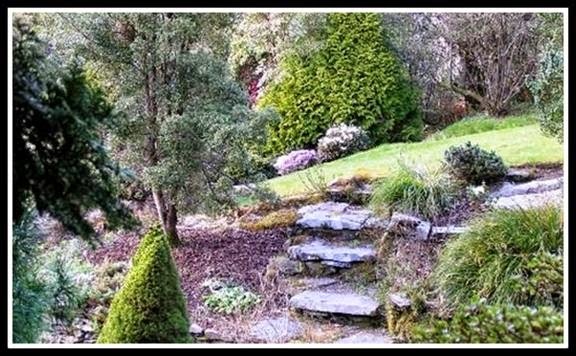 A wonderful woodland garden can be explored for free at Glendoick Gardens near Perth. There are 3 waterfall viewing platforms in this fabby garden that has been voted one of the best in Europe. They have lots of azaleas and rhododendrons (one of my fav plant names to say!) They even do lots of plant breeding to make wonderful new types and you can have a peek at how they do it. Even more Rhododendrons can be seen at Glenarn garden near Helensburgh. You can also look out for early magnolias. 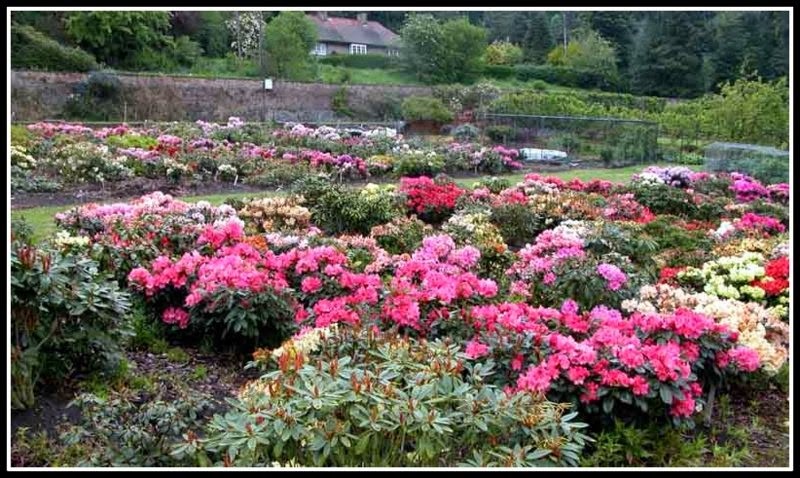 Glenarn gardens is one of the sites that is also taking parting the first ever Scottish Festival of Rhododendrons from 1st April until 31st May. More than 40 events are happening in wonderful gardens in Argyll and Bute. As well as visiting pretty gardens you can get involved in activities this National Garden Week. How about getting involved in a local community garden? On 15th April the Coupar Angus Community Garden has a special volunteering evening when you can find out what you can do to help out. The great gardeners of Coupar Angus are in the finals of the 2015 Britain in Bloom campaign so they must be good gardeners to get to know! 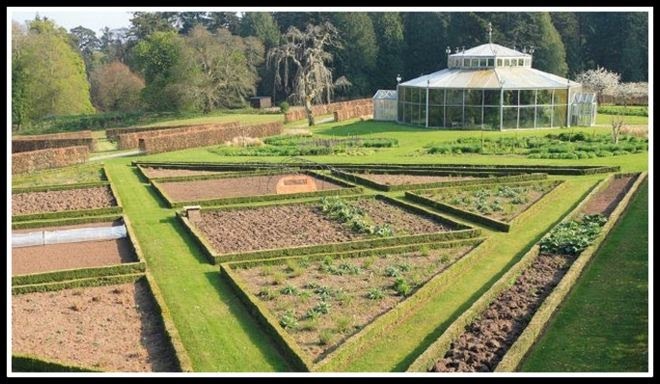 Or you can find out about yummy things to grow and eat at the Spring Edible Gardening Festival at Royal Botanic Garden Edinburgh. It is on 17th-19th April. All the family can get involved and get our hands messy. Then you can eat some of the plants and leaves at a nearby restaurant. The National Gardening week web site also has lots of ideas for fun things to do in your own garden. You can do games and quizzes such as trying to match the bottom and top bits of plants that grow underground. You can use actual vegetables such as carrots, potatoes, onions, turnip and then have a photo of the leaves and see if you can match them up properly. You could use the week as the incentive to get outside and plant your first ever seeds. There is a new article on wildflower growing on the website. If you have a smaller garden you might want look at the hints and tips for picking smaller varieties of vegetable you can grow in containers. 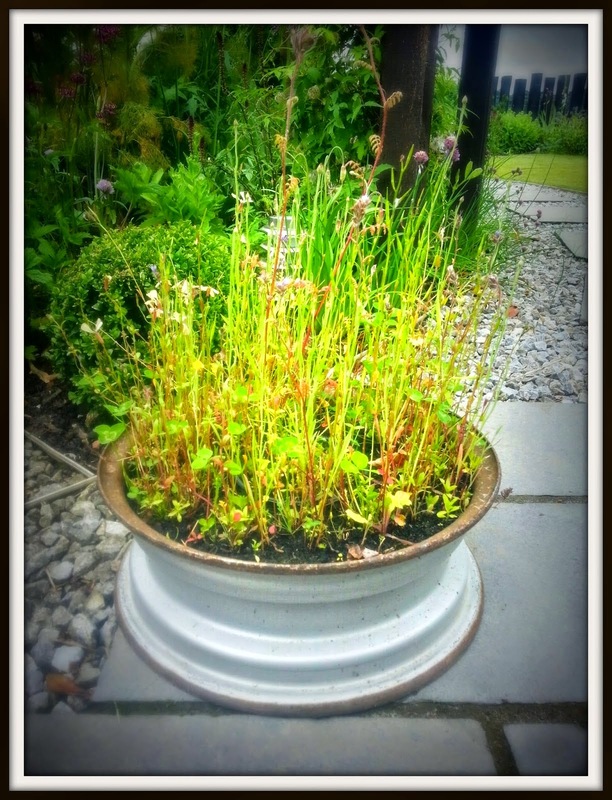 Or for something a wee bit different you could grow some edible flowers- that sounds weird! If the weather is as nice as last weekend you could host a garden tea party so your friends and family can relax and enjoy your garden. Obviously I am an expert on all things gardening and my favourite thing to do is to make sure Mummy and Daddy are doing things properly when they are growing things as you get to get all messy AND get yummy things to eat. 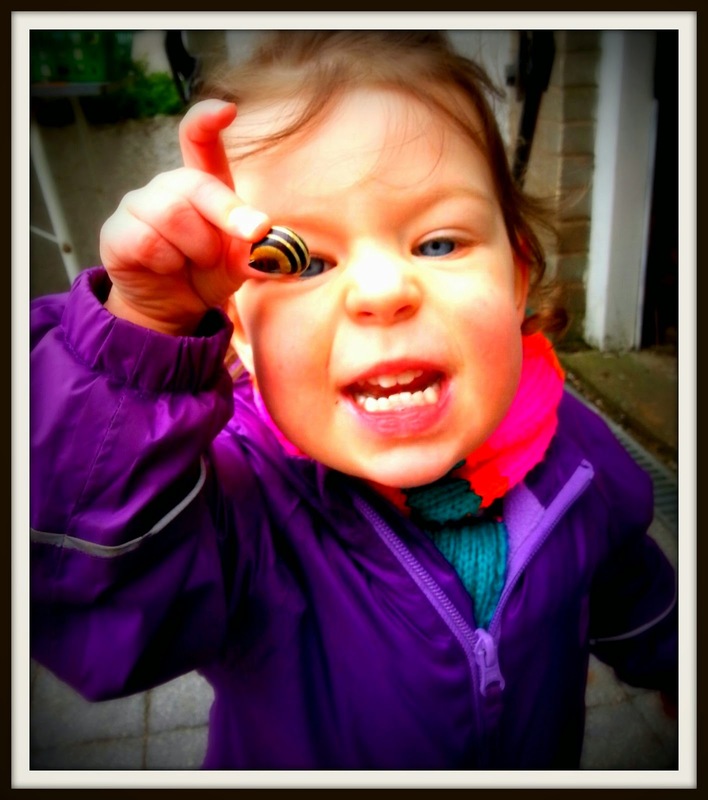 My other favourite thing is snail hunting. We're going on a snail hunt, we're going to find a big one! Daddy: "I love just being out in the garden, pottering, preferably with the rest of my girls. I get a great satisfaction from most tasks whether it be weeding the borders to harvesting the veg. It’s always changing too so you never get much of a chance to rest on your laurels but it’s great to sit back every now and again, with a wee coffee, and just take in & appreciate our little kingdom." Mummy: "I love the evolution and that two days are never the same. I love popping out and seeing what's grown and what we can pick to eat. 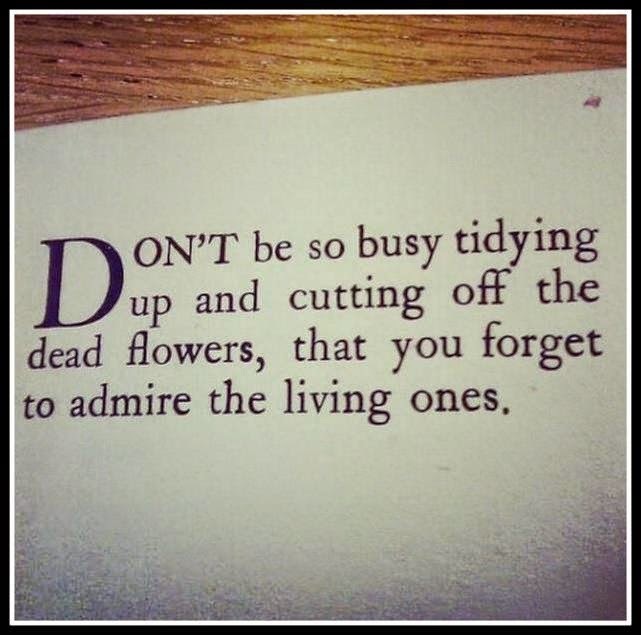 I also love giving the garden a good tidy up and then sitting back and enjoying it." Baby Tilda: "sitting in the shade, watching the pretty flowers moving in the wind and listening to the leaves rustle and the birds chirping." 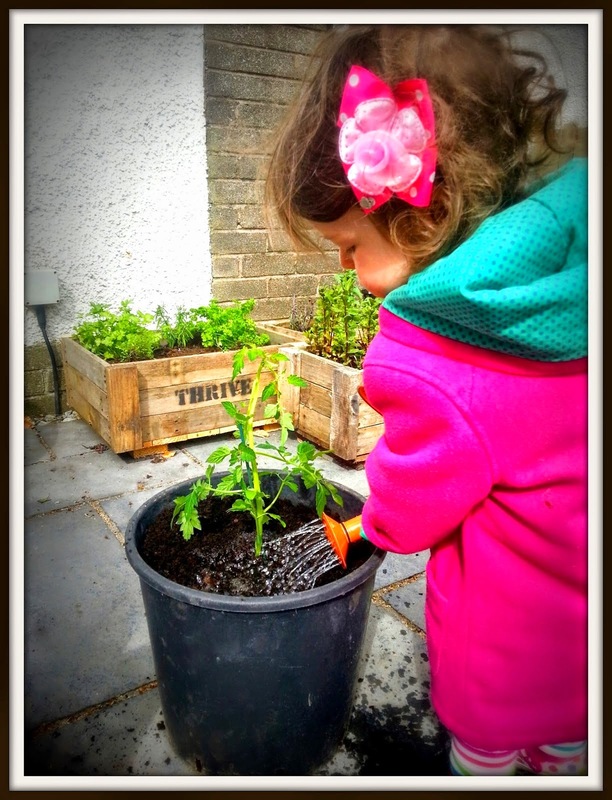 Hopefully Team Vialii have gotten you super excited about gardening just in time for National Gardening week 2015.